ANMF met with members at Fred French on Friday 1 March to discuss numerous workplace concerns. ANMF followed up this meeting by meeting with management on Thursday 7 March to discuss the concerns raised by members. Masonic Care Tasmania (MCT) management provided some responses to the concerns raised on the day however they have taken away information provided to seek further clarification. To date, ANMF have had no further response from management. On a separate matter, but equally important, ANMF have communicated with the new Chief Executive Officer (CEO) of MCT regarding the stalled Enterprise Bargaining process as result of the previous CEO’s cessation of employment. In response MCT have given no set date for these negotiations to recommence. ANMF will be scheduling meetings with members in the week of 8 April to discuss a process to move forward with these two significant issues, meeting notices will be circulated shortly. ANMF have been advised of proposed roster changes at Southern Cross Care Glenara. A member meeting has been scheduled for Thursday 4 April at 1250 to discuss the implications of this change and advise members of their industrial rights. Japara/ACSAG have provided a final offer to ANMF for the Enterprise Agreement (EA) of 2018. Over the past week our Communication and Member Support Officer Mandy Clark visited a number of Aged Care facilities in Launceston and on the North-West Coast and we welcome the 5 new members and 1 student member from those facilities who made the decision to become part of the ANMF. With our national ‘Ratios For Aged Care’ campaign underway along with the Royal Commission into Aged Care Quality and Safety there has never been a better time to stand together to address the crisis facing Aged Care in Australia. Please talk to your colleagues about joining the ANMF and if you or someone you know is interested in becoming an ANMF Representative please don’t hesitate to contact us on (03) 6223 6777 or 1800 001 241 (outside Hobart area). The ANMF Tasmanian Branch annual Aged Care Conference will be held on 12 April 2019 at the Tailrace Centre in Launceston and so far we are excited to say we have close to 80 people who have registered to attend! There are still places available and registrations will remain open until Thursday 4th April at 5pm so don’t miss out on this fantastic professional development opportunity. 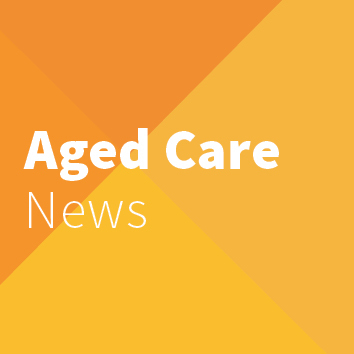 The Conference promises to be a very informative day where those attending will hear from some inspirational speakers on a wide range of issues that aged care workers deal with every day. An ANMF Representative will also be available throughout the day to answer any questions attendees may have about the ANMF ‘Ratios For Aged Care’ campaign and the Royal Commission into Aged Care Quality and Safety. We wish to extend our thanks to the facilities who have registered a group of staff to attend the conference and we are looking forward to seeing you all there.